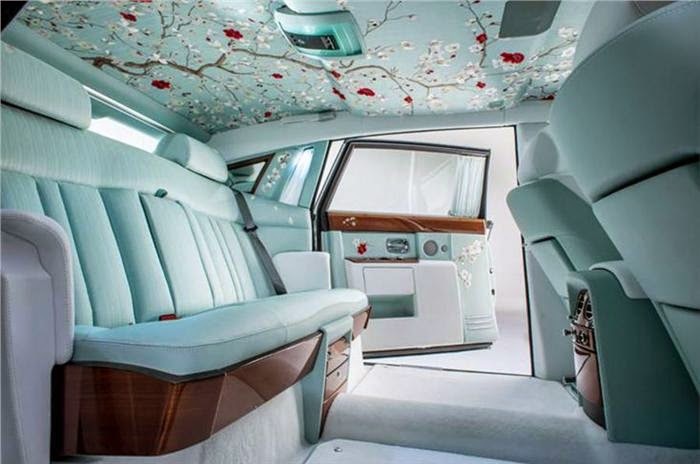 The English luxury automakers have taken inspiration from contemporary interpretations of European furniture combined with royal Japanese kimono designs to create this one-off concept. The Phantom Serenity concept features an oriental theme and is inspired by the “amazing interiors of the elite Rolls-Royces of the early 1900s”, according to director of design, Giles Taylor. The concept also celebrates “the historical role played by silk as a symbol of regal and imperial power”. The cabin features handwoven Chinese silk adorned with hand-painted crimson blossoms along with smoked cherry wood, mother of pearl, bamboo cross-banding and arctic white leather. The bespoke mother of pearl paint used on the car is the most expensive one-off paint ever developed by the company and was applied over three stages, followed by 12 hours of hand polishing. The car also has two parasols featuring the Serenity motif held by bespoke leather loops incorporated into the boot lid. 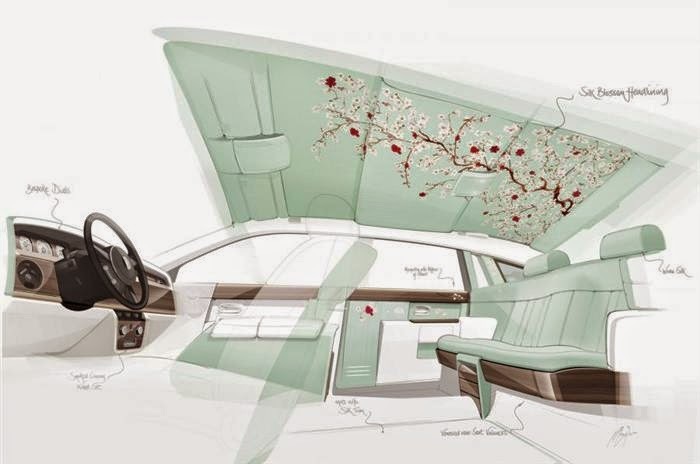 A two-colour coachline with a three-colour blossom motif adorns the Serenity's exterior and echoes the interior. It has been applied by the squirrel-hair brush of Rolls-Royce's coachline expert, Mark Court. The silk was sourced from Suzhou, China, where it was hand dyed by Chinese craftsmen before being sent to one of Britain’s oldest mills in Essex, where it was hand-stitched for the car’s interior. The numerous colours of silk thread were blended into a warp, which has 140 threads per centimeter, to result in the 'Smoke Green' colour of the underlying silk fabric. Once prepared, the silk was transferred to London, where the blossom motif designed by Haye and Lusby was embroidered onto it. The final touch was the detailed petal-by-petal hand-painting of crimson blossoms directly onto the silk. Bespoke cars are making up an increasing part of Rolls Royce’s sales in the present, with as many as 85 percent of the cars now commissioned with some level of bespoke content.